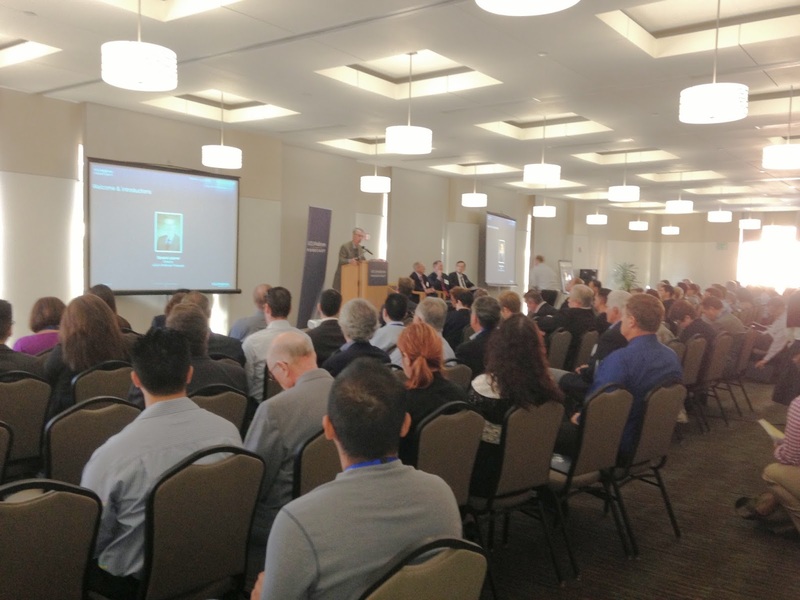 The photo above – taken at today’s Anderson Forecast – is yet another reminder that UCLA is often host to conferences involving large numbers of people at various venues around campus. This event took place in the Executive Dining Room at Anderson. The Executive Dining Room is actually three rooms with movable partitions. It might also be noted that the parking to be provided within the new $150+ million Grand Hotel/conference center now under construction could not have accommodated all of the people who came to the Forecast event. A picture is worth 1,000 words but apparently not 150 million dollars.